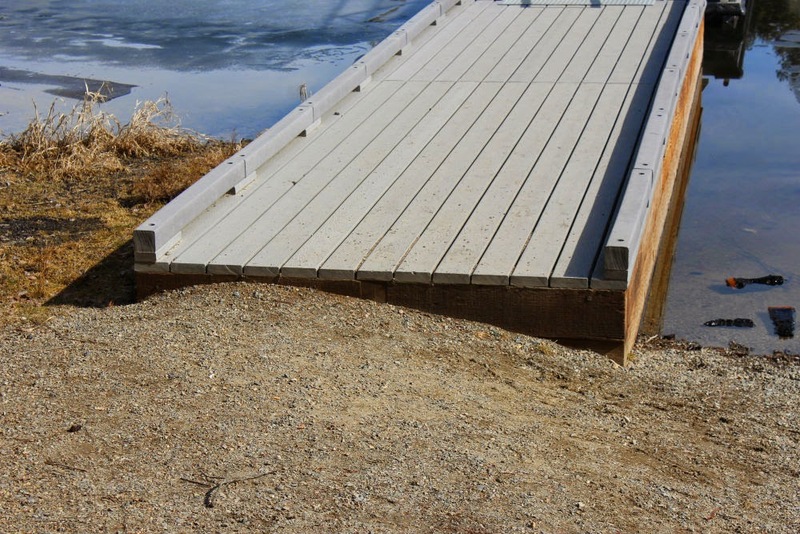 It was official last June that the Elsie Lake restroom in Shoshone County was made fully accessible. Sometimes it’s just the simplest things that become barriers. Previously large boulders were placed around the restroom to protect it from vandalism. Unfortunately the boulders were placed too close together to allow wheelchairs to pass through to restroom. Now there is one spot on the south side where there is a gap of 42 inches to allow wheelchair access. Tom McTevia, who passed away in 2015, wanted this issue fixed as Tom loved this lake and the area around it. We know Tom would be pleased with this. Great appreciation goes to Josh Jurgensen of the local Forest Service for working with on this project. Josh personally made this happen. As always, it’s a pleasure to work with the Forest Service as they want all people to be able to access the outdoors. 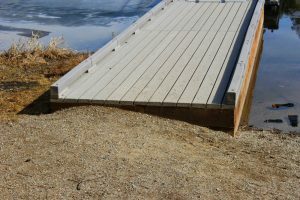 The first phase of work on Smith and Brush Lake facilities were able to restore the eroded dirt to the accessible docks. A work day was scheduled for people to move dirt in a wheelbarrow from a truck to the area at the start of the docks (a distance of about 50 feet on slightly level and sloped packed gravel ground) at both sites. Some barriers were installed to trap the dirt and keep it from eroding again. Volunteers brought shovels, picks, and gravel/dirt and grass rakes and they rented a ground compactor. Access to Outdoors is a non-profit dedicated to making our outdoor public spaces accessible to all. Their motto is “Recreation for Everyone”. This coming summer they are working on two projects at Roman Nose Mountain and Solomon Lake. To find out more visit their website.